Home>Reviews>Components>Is Turbo Boost Technology Automatic or does it need Manual Input? Is Turbo Boost Technology Automatic or does it need Manual Input? The performance of a powerful PC relies on its speedy components most of the time. The most important of these is the CPU or the processor. It’s responsible for handling a lot of the workflow going on in the system. Especially in CPU intensive applications, the speed of the processor is what determines how quickly and efficiently it can run through the task at hand. Most modern Intel CPUs are equipped with Turbo Boost technology to help in those moments where pure processing power is required. Turbo Boost is basically the operation used by Intel CPUs to enhance the performance by increasing clock speed of the CPU. We will be briefly discussing how that technology works and how you can control it. How Does Turbo Boost Actually Work? A benefit of modern mainstream Intel processors is that they only perform to their absolute limit only when the speed can actually be utilized properly. So when performing day to day tasks such as writing up a document or viewing a video, the processor is actually running at the slowest speed possible known as the base clock. Since the processor conserves its power in this way, it actually helps with thermal performance, efficiency and the lifespan of a CPU. However, in those moments of much-needed performance, Turbo Boost kicks in. This works by monitoring the thermal headroom and the max TDP (Thermal Design Power) of the processor, so when you need that extra kick, it can ramp up the base clock to what is known as the boost clock. The explanation is basically in the name itself. This technology increases the actual base clock of the processor by a few increments (while keeping temperature and power in mind) to what is known as the boost clock. Basically, when you need raw power, Turbo boost aides you with that by ramping up the speed of the processor. Another important thing to note is that when Turbo Boost is enabled, it actually increases the clock speed of all the cores. It doesn’t matter if the application at hand requires single-threaded performance or multi-threaded performance. If a single core is active, it will boost all of the remaining physical cores. When Does Turbo Boost Kick In? Is It Automatically Activated? Whether Turbo boost is activated or not depends on a lot of aspects. First off is the issue if the application at hand can actually utilize the full potential of the processor’s speed. If the application can actually use the speed to its full potential, Turbo boost automatically kicks in to provide that extra kick in performance. 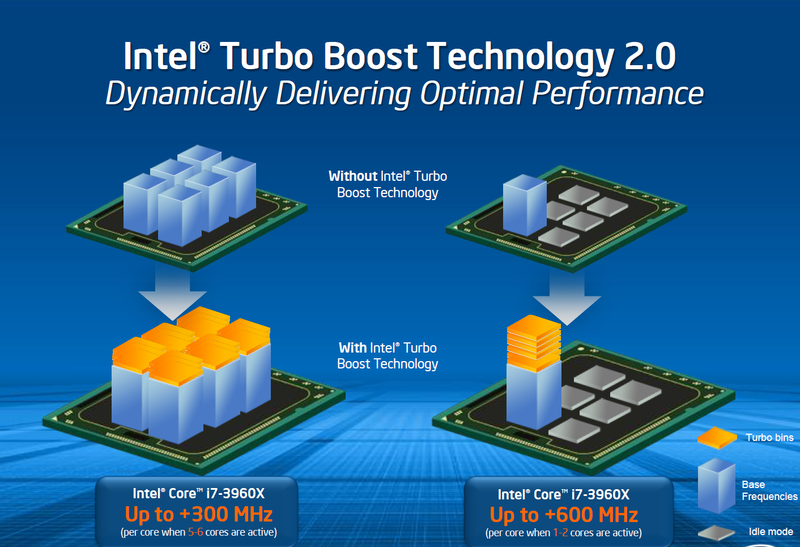 Turbo boost also doesn’t decrease the lifespan or efficiency of a CPU by a significant amount. It increases the core performance and temperature with respect to the max TDP of the processor. It keeps the temperature, power, and efficiency of the CPU in mind when ramping things up. Of course, when your processor uses turbo boost frequently, the thermals will increase by a bit and you will require a decent enough CPU cooler to counter that. 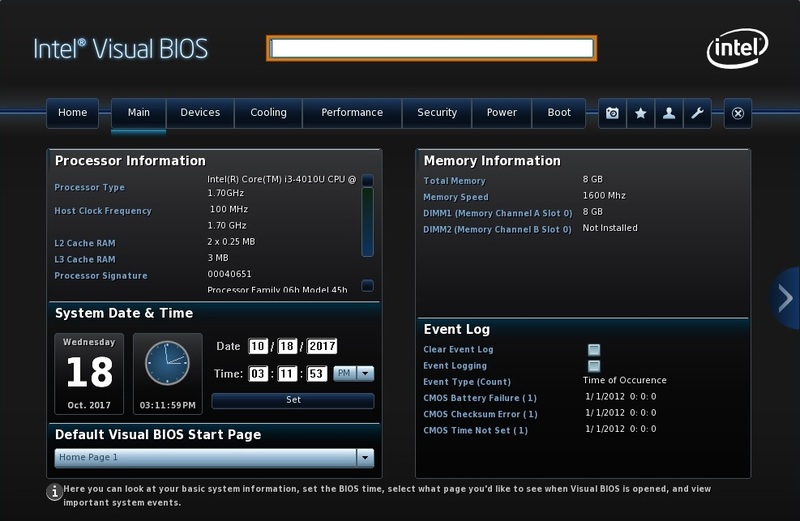 Although the operation is already enabled in the BIOS of most Intel motherboards beforehand, you can turn it off by heading over to the BIOS settings and switching it off completely. Apparently, you can not control turbo boost by deciding how much extra performance you need. The CPU decides for itself how high it can go without throttling due to thermals. You can’t control the speed when it is enabled. The only option here for the user is to either leave it enabled and have it work on its own or disable it entirely in the motherboard BIOS. You can monitor when Turbo boost is enabled via third party software or you’ll simply know its operating when the fans really kick in. It is supported on the Intel Core i5, Core i7 and Core-X series of processors. It works regardless of the operating system installed. All mainstream Intel motherboards have Turbo Boost support and have it enabled by default in the BIOS. To sum it up, Turbo boost is a really handy technology that definitely helps in processor intensive tasks. To simply answer the question, yes Turbo boost is automatically enabled on most Intel motherboards but if you are worrying too much about lifespan and efficiency, you can turn it off in the BIOS settings of your motherboard.